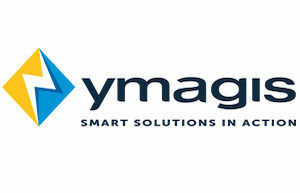 Ymagis Group (FR0011471291, MAGIS, PEA-PME, TECH 40), the European specialist in digital technologies for the film industry, announces that the standstill agreement entered into with its bondholders to renegotiate the repayment conditions of its Euro PP bonds has been extended through 24 April 2019. In addition, the standstill agreement has been extended to financial creditors other than bondholders. The extension demonstrates the parties’ readiness to find solutions that respect the interests of all parties. During this time, Ymagis and its creditors will pursue their discussions to renegotiate the repayment conditions of the Group’s financial debt. Furthermore, Ymagis has mandated the Transaction R investment bank, a subsidiary of Rothschild & Co, to advise the Group on various strategic options relating to its Eclair business unit specializing in content services for the motion picture and television industries. Since 2018, Eclair has undertaken an ambitious economic consolidation and modernization programme to internationalize and digitalize its activities through specialized digital platforms. These activities are beginning to produce positive results and place Eclair in a new growth dynamic. As a reminder, Eclair has a strong foothold in France, Spain, Germany, Italy, Belgium, England and the United States, with solid positions in the sectors on which the company has decided to focus. The mandate entrusted to Transaction R will allow the Group to consider all options and agreements to help define the optimal partnership solutions for the company and for the Group. In this context, the announcement of its full-year 2018 earnings, originally scheduled for 29 March, has been delayed to 25 April. Trading on Ymagis stock will resume on Monday 1 April 2019.